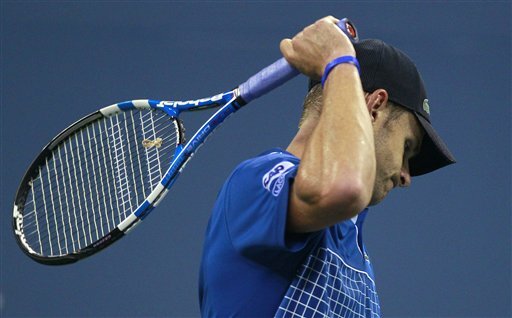 For the first time in his career, Andy Roddick (#9) lost in the 2nd round of the U.S. Open. Janko Tipsarevic defeated Roddick 6-3, 5-7, 3-6, 6-7, to head to the third round for the first time. Roddick’s play could be compared to that of a fat kid after an Oreo binge: slow and lethargic. In my ever-so-humble opinion, Roddick lost his confidence after the 2009 Wimbledon Final defeat to Roger Federer. In 2010, Roddick has had the capacity to win tournaments (ATP Brisbane International & ATP World Tour Masters 1000 Sony Ericsson Open), but he can’t win when it matters. The Australian Open brought a 4th round loss to Marin Cilic, the French Open resulted in a 3rd round loss to someone whose name I can’t pronounce (we’ll say Fred Jones), and his Wimbledon appearance…well, lets just say he lost in the 4th round to someone he had no business losing to. It was a close match between Melanie Oudin and #9 Caroline Wozniacki on Wednesday night. Ok, well maybe it wasn’t close… Not even close, actually. In straight sets, Danish tennis prodigy Wozniacki defeated Oudin 6-2, 6-2 and is now headed to the Semi-finals. This is perhaps where being an underdog can come at an extreme disadvantage. Relative inexperience in pressure-cooker tournaments can cause too many unforced errors. Oudin struggled with her own game, allowing 43 unforced errors. This was more than twice as many as Wozniacki had during the match. She never got off on the right foot, as Wozniacki took the first 3 games of the first set. From an outsider’s standpoint, I’d like to take a stab at why Oudin lost. She did not play like a professional. Period. After losing points, she took long pauses by the wall with her hands on her hips, sluggishly grabbing at new tennis balls from the ball people (er, whatever they’re called). She did not hold her composure, and had frequent looks of dejection. Now, granted, if I were in her shoes, I’d be on the floor panting for breath after the first 5 minutes. If I made it longer than that, I’d be swinging my racket and getting nothin’ but air as Wozniaki’s back-handed shot curved past me. If I STILL were left on the court, I may just throw my racket on the ground, pull all my hair out, and run to the locker rooms. But seriously, for a teenager, Oudin probably did what should’ve been expected of her. She played hard, got frustrated with herself, and ultimately lost. There is no doubt that she’ll come back for next year’s Australian Open with a new sense of composure. After seeing Oudin stifle some of the top tennis stars in this year’s Wimbledon and US Open, I am excited to see how she improves for next year. Until then, congratulations Oudin for your great play. I’m Ouda here. 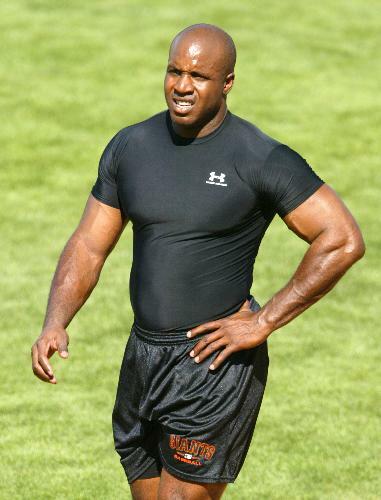 In professional sports, its all about the underdog. Maybe its the storyline of an athlete or a team overcoming incredible odds to win their sports championship. Or maybe the excitement of seeing the “Titanic” of all teams be crushed to bits by the iceberg that is the underdog. I do believe that we have an underdog in the making in Melanie Oudin. Lets start with a history lesson. Melanie Oudin was born September 27th, 1991 in Marietta, GA. She grew up being homeschooled so she could dedicate more of her time towards tennis. She was also the World Juniors #2 ranked at one point. Probably the most amazing part of Melanie is that she stands at 5 ft. 6 inches tall. She has attributed her success in tennis to Justine Henin because “she proved you don’t have to be tall to win things”. I can’t even hit the tennis ball over the net and I’m 6 ft 2! So why is she an underdog, you ask? Superman had kryptonite. Roger Federer has Rafael Nadal on a clay court. Nadal defeated Federer in the French Open yesterday and added another chapter to one of the greatest ongoing rivalries in tennis today. Were it not for Federer, Nadal would probably be the number one ranked player in the world. And were it not for Nadal, Federer would have already passed Pete Sampras’ record mark of 14 Grand Slam titles. They have met in a Grand Slam final a total of 5 times, with Nadal winning three times in the French Open and Federer winning 2 times in Wimbledon. When they meet on a clay court, Nadal is an astounding 9-1. On grass or hard surface, Federer has a 5-2 advantage. I knew that Nadal had been nearly unbeatable on clay courts, but I was surprised to find that he has an overall record of 11-6 against Federer, including a 9-4 record in all finals appearances. I decided to take their numbers and line them up against some of the historic tennis rivalries. The more research I did the more classic match ups I found, but for all of our sakes I decided to only list the stats for a few of them. The one key factor that can’t be put into a stat is the aura that surrounded the three earlier rivalries I’ve listed. The 5 set match between John McEnroe and Bjorn Borg in the 1980 Wimbledon Final is considered perhaps the greatest of all time. The fourth set required a 20 minute tie breaker, which McEnroe finally won 18-16. He went on to lose the match, but that final set the stage for another 5 set face off in the US Open 2 months later. Though I didn’t get to watch them, I did get to watch Sampras/Agassi and McEnroe/Lendl. And I remember the “buzz” in the press whenever those pairs would face each other. In Sampras vs. Agassi, it was a match up of the power serve against the power return. In McEnroe vs. Lendl, it was McEnroe’s net game against Lendl’s booming baseline shots. It’s that kind of mystique that ultimately defines a great rivalry. It seemed like more than just a match up between two top players. It’s as if there were more on the line than just a title. Though Federer and Nadal gain more of that aura with each match, I don’t think they’re quite on par with the rivalries of old yet. I think they will get there, but only time will tell where their history ultimately ranks. In the meantime, we’re getting to see some great tennis.